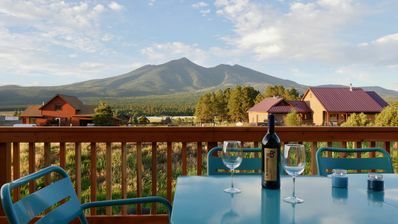 Our lodge home is situated just East of Flagstaff in a quiet neighborhood with spectacular views of the San Francisco Peaks. 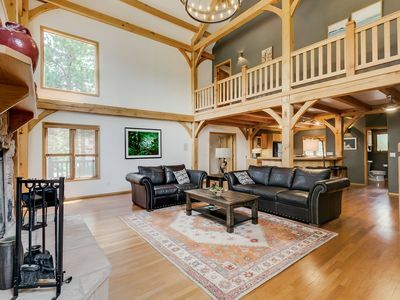 With two beautiful living spaces and a large kitchen, this house is the perfect place to vacation with friends and family. 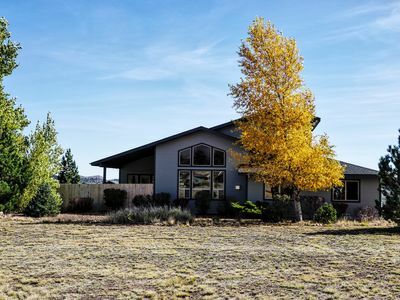 The home was designed to reflect the beautiful colors and feel of the Southwest. 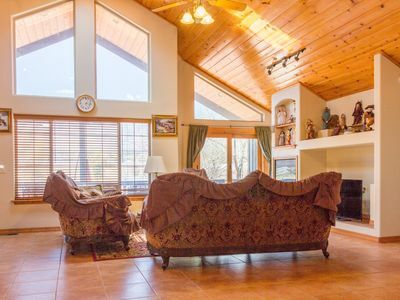 With expansive windows facing the San Francisco Peaks, there are views of the mountains and surrounding foothills from each room. 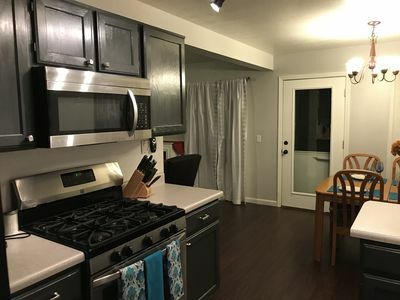 We've filled the house with guest amenities, such as emergency toiletries, cooking supplies like spices and pantry items, as well as board games and books. 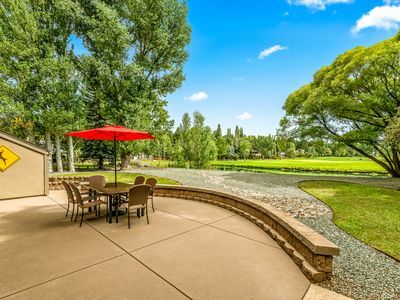 You'll have access to a large, open backyard as well as a walk-out, smaller, private, and fenced space adjacent to the main house. 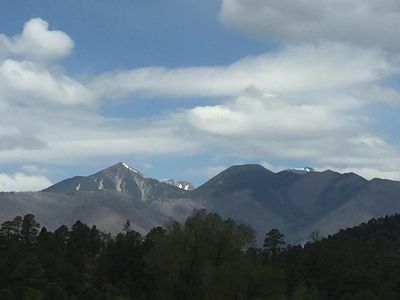 We have lived in Flagstaff for over 12 years, and are happy to offer any recommendations on places to eat, activities to enjoy, and monuments to visit. 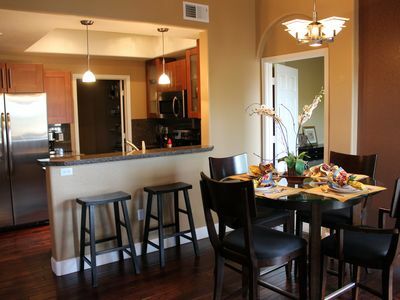 Otherwise, the home is yours to enjoy, and we will maintain your privacy during your stay. 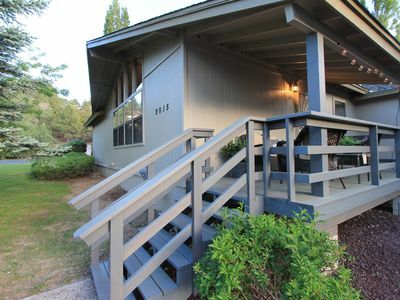 Our home is not within walking distance of any shops, bars, or restaurants. You will need a vehicle to access local amenities. 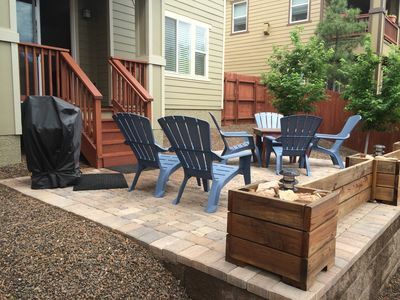 We are approximately 3.5 miles to grocery stores, Starbucks, and the Flagstaff Mall. 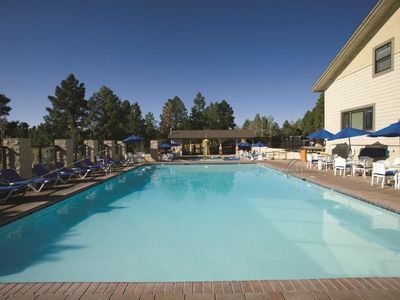 Flagstaff has a number of car rental companies including Enterprise, Budget, and Alamo. Enterprise is the only company with a location in town. Another great alternative is, if you are flying in and out of Phoenix Sky Harbor, we recommend renting a vehicle at the Airport and returning it there at the end of your trip. 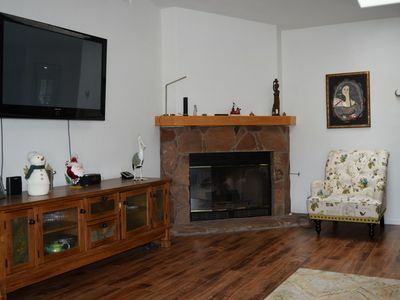 Many times these rentals will be much less expensive than finding transport to Flagstaff and getting a rental in town. 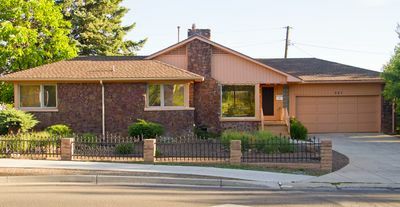 Amtrack serves Flagstaff with regular train departures and arrivals with the train station conveniently located downtown. We also highly recommend Arizona Shuttle for getting from Phoenix to Flagstaff. They pick up at the train station downtown and drop off at Phoenix Sky Harbor for about $45. 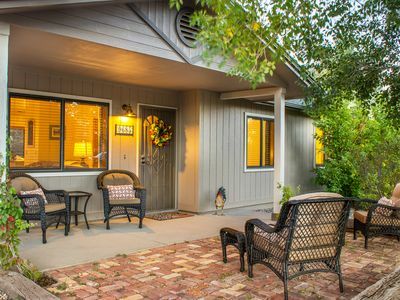 They also offer alternate routes, taking passengers to Camp Verde, Sedona, and the Grand Canyon. 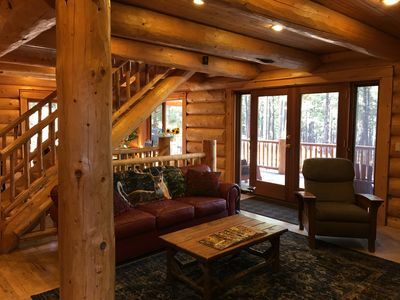 Beautiful Lodge Nestled In The Pines with HOT TUB! Rates subject to change. 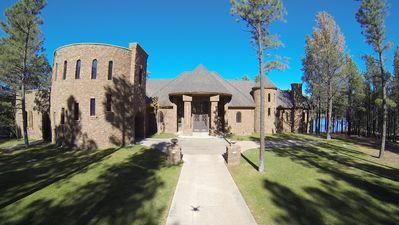 Click "Book it Now" for rates and availability. 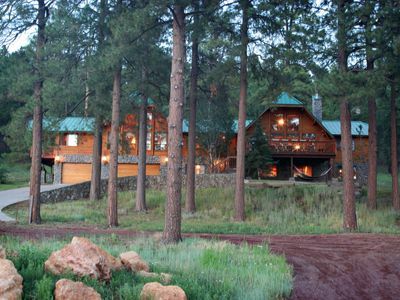 Flagstaff Getaway for Family or Retreats in secluded pine country! Big Mountain Retreat. 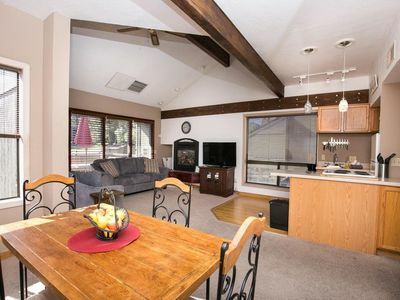 Epic Mountain view, and dog friendly! Check out the video!